Head to aboveandbeyond.nu/abgt050 to tune in to the live 6 hour broadcast from Alexandra Palace in London from 9pm BST on Saturday 26th October to 2am GMT (3am BST) on Sunday 27th October*. You'll also be able to see exclusive content and messages from Above & Beyond, as well as from fans around the world. *please note that the clocks change and go back by 1 hour in the UK overnight on Saturday 26th / Sunday 27th October from British Summer Time (BST) to Greenwich Mean Time (GMT). #ABGT050 will finish at 3am BST, 2am GMT. Head to aboveandbeyond.nu/abgt050 to see exclusive content and messages from Above & Beyond as well as from fans around the world. WHAT TIME DOES #ABGT050 START FOR YOU? PLEASE READ THIS VERY IMPORTANT INFORMATION AHEAD OF ABGT050 FOR YOUR SAFETY, ENJOYMENT AND OVERALL EXPERIENCE. Like any other venue that draws large numbers of people, Alexandra Palace has been known to be attended by pickpockets who are looking to steal mobile phones and other valuables from the crowds. Report anything suspicious to a security guard or police officer either on the gate or on the site. Be aware of the dangers of drugs. In particular pills containing the class A drug PMA which have been linked to several fatalities this summer. Commonly known as green Rolex, Dr Death or pink ecstasy; if anybody attempts to sell this to you on the way to or at the venue, please report to a police officer or security guard. Look out for your friends and those around you. If you see ANYONE who has not stayed within their limits, please bring them to the attention of our staff or medical team. All bags will be searched as will many visitors on entering the event. This is for your safety. At 1.59am during ABGT050, the UK clocks will go back for the end of British Summer Time (BST). As ABGT050 is to adhere to Greenwich Mean Time (GMT) and scheduled to end at 2am (GMT) this means that the event will run for an extra hour. The event opening hours are 7pm (BST) – 2am (GMT). This means that the event will last in total eight hours. The live radio broadcast is to begin at 9pm. In order to gain entry, you MUST present your printed E-ticket upon arrival. No VALID E-ticket? No Entry. PLEASE make sure that you have received and printed your E-ticket. Any E-tickets purchased from aboveandbeyond.nu OR www.clubtickets.com are available to re-download at www.clubtickets.com/login using the E-mail address that you provided at the time of purchase. Please do this at your earliest convenience, as we cannot guarantee that we will be able to assist you less than 48 hours before the event. THIS EVENT IS STRICTLY 18+. If you are lucky enough to look 25 or younger then play it safe and bring I.D. to prevent any problems in gaining entrance to the event or alcohol at the bars. LAST ADMISSION for the event is at MIDNIGHT. If you arrive later than this time and are refused entry, a refund WILL NOT be provided. YOU WILL NOT BE ABLE TO PURCHASE TICKETS ON THE DOOR. The venue will operate a strict NO RE-ENTRY policy on the door. You must be 18 years old or older to enter this event. Please make sure that you have acceptable ID should you be challenged at the entrance to the venue. Suitable ID is photo card driving licence, passport or proof of age cards bearing the PASS hologram. LOOK UNDER 25? PLEASE BRING PHOTO I.D. At ABGT050, the bars will be operating Challenge 25. This means that if you are lucky enough to look under the age of 25 years, you will be asked to prove that you are 18 or older. Please ensure you bring with you acceptable forms of I.D such as photo card driving licence, passport or proof of age cards bearing the PASS hologram. Alexandra Palace is in a residential area so please be respectful of the venue’s neighbours when leaving the event. Also please be aware that pick pockets may be operating in the area. Ensure that you plan your journey to and from Alexandra Palace well in advance. In addition to the public services we will also be running a shuttle bus service from 00:30 until 04:00. The bus pick up will be outside the main Palm Court entrance and shuttles will run to Finsbury Park and Camden Tube night bus stations. This service will cost £2 per customer. FOR FULL TRAVEL INFORMATION AND DIRECTIONS, CLICK HERE. FOR FULL VENUE TERMS AND CONDITIONS, CLICK HERE. 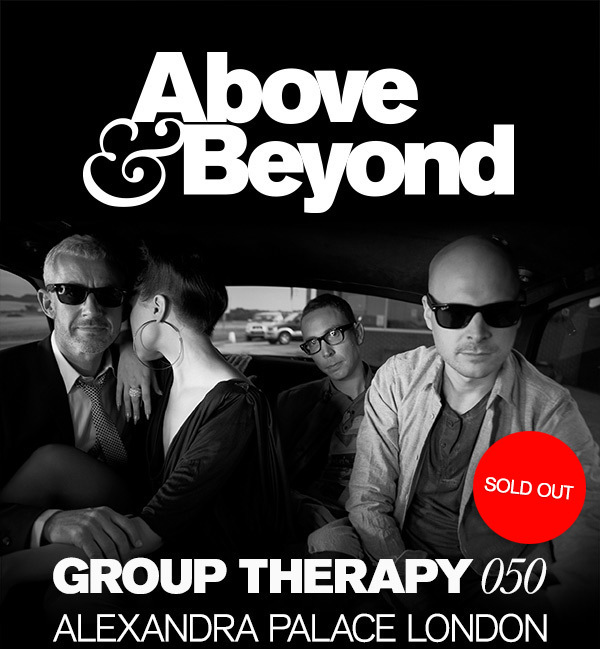 ENJOY THE SHOW - SEE YOU ON 26TH OCTOBER AT ALEXANDRA PALACE AND WWW.ABOVEANDBEYOND.NU/ABGT050!